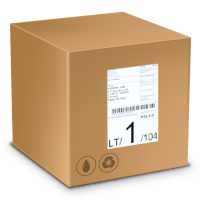 File an application by sending precise data on the sender, the recipient and the consignment (weight or volume, freight collection address, delivery address, phone numbers of the sender and the recipient) to us by online service fast.venipak.com. If required, consignments dispatched to Vilnius, Kaunas, Klaipeda, Panevezys or Alytus can be delivered on Saturdays. Calculated weight 1 m³ – 250 kg. Make a contract with Venipak and get a cooperation offer best tailored to suit your needs!